I’ve also touched on our love of grilled cheese, a holdover from childhood on my part. Let me introduce you to this gem. White Pizza Grilled Cheese! Cheese lovers, UNITE (behind this recipe)! This is the recipe for you. Don’t hesitate, don’t think, and don’t over-analyze this delicacy. Find time. Make this. Your family, and especially your cheese-prone taste buds, will thank you profusely. In a small bowl, mix together the ricotta, olive oil, garlic, basil, oregano, salt, and black pepper. Refrigerate for at least an hour (or up to 24 hours) to allow the flavors to develop. Lay down the bread slices and, using a butter knife, spread the ricotta mixture evenly on each piece. The ricotta mixture should coat the insides of both pieces of bread. 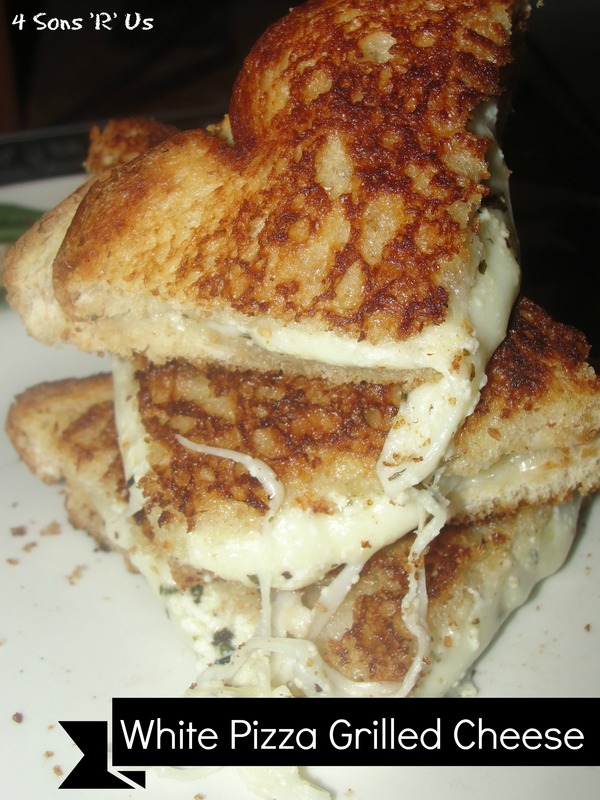 Lay the mozzarella slices evenly on every other piece of bread (one side of each sandwich). Sprinkle with Parmesan cheese and close the sandwiches by place both cheesy insides together. Butter both sides of the ‘outside’ of the sandwich generously. In a large frying pan over medium-low heat, cook the sandwiches, flipping often, until they’re golden-brown on the outside and the cheese is melted inside, about 10 minutes.